Debt.com » Credit FAQ: Answers to the Internet’s Top Credit Questions » Is There Any Way to Raise Your Credit Score in a Month? Is There Any Way to Raise Your Credit Score in a Month? Building credit usually takes time, but there are a few things you can do to have an immediate impact. While improving your credit usually takes time, if you’re taking positive actions you can usually see progress fairly quickly – even in as little as one month. 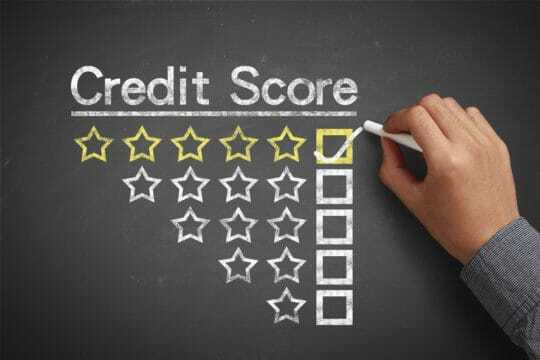 However, there are a few things to know about credit reporting and how it may impact your credit score. If you get a bonus or another large sum of money and use it to pay off a credit card balance. You’ll likely see an increase in your credit score the next month when that creditor reports your new zero balance. If you had a late payment showing that gets corrected and removed from your credit report, you should see your score improve. If you had something negative incorrectly reported on your credit report and you contact the financial institution or lender to prove it wasn’t something you did, they will remove it and you should see your score increase. Since paying bills on time and maintaining a low credit utilization are both major factors in your credit score, taking actions in those areas is most likely to quickly and impactfully affect your score. What day of the month does your credit score update? Most creditors report updates in your credit score to the three major credit bureaus – Equifax, Experian, and Transunion – every 30 days. However, it can vary depending on the creditor. Usually, a credit card issuer reports your balance to the credit bureaus on your statement closing date. But it can also take just a few days or even beyond the statement closing date in some cases. How much can your credit score go up in one month? There is no set number your credit score can go up or down in a month. The amount of increase depends on a variety of factors so there’s no set formula. However, as mentioned before, there are actions that are more likely to have a bigger impact. Your credit score may change slightly every month when creditors report updates. It’s rare for one creditor to report more than every 30 days. However, since you likely have multiple creditors and lenders reporting balances, your credit score could change more than once in a month. Credit monitoring sites like Credit Karma update every seven days. Is it possible to increase your credit score 100 Points in one month? A bankruptcy can impact your credit score by up to 200 points. If you have one and enough time has passed, you will see a big jump in your credit score as long as you are taking positive actions to pay your bills and keep your credit usage low. If you know you need to make some positive steps to improve your credit score quickly, check out these seven secrets to fixing your credit faster. If you’re behind or risking falling behind on payments, pick up the phone and call your creditors. Being proactive is one of the best things you can do to prevent late payments from negatively impact your score. Start immediately by getting current on anything past due. Late payments can impact your credit report for seven years. However, the longer ago it happened, the less it impacts to your credit. Don’t rack up any more credit card debt. Put yourself on that budget you’ve been meaning to set and stick to it. Monitor your credit to get alerts and keep a close eye on any changes to your credit score and credit report. Take care of anything that isn’t correct on your credit report immediately. If you check your credit report and see something that you don’t recognize, contact the credit bureau to see about getting it removed. Negative information that isn’t yours could mean you were the victim of identity theft. So, get to the bottom of the cause immediately. Don’t close a card when you pay it off. Keeping your card open will help you maintain a higher age of accounts. It will also keep your credit utilization lower (as long as you don’t spend on your card again), both of which will help your credit score stay healthy. While it may be tempting to try to find a way to hack the system, the best way to maintain an excellent credit score is just to pay your bills on time and not use a lot of your available credit. If you’re looking to build up a credit score with little or no credit history, start by making small steps. Get a secured card or have someone cosign a loan or credit card with you. Read here to learn more about building credit. Article last modified on February 25, 2019. Published by Debt.com, LLC .